UPDATE: The agent’s family and attorney have confirmed that Laura Avila has passed away in hospice care on Saturday, November 24. A Dallas real estate agent who traveled to Mexico to take advantage of cut-rate plastic surgery is now on life support after a botched nose job. 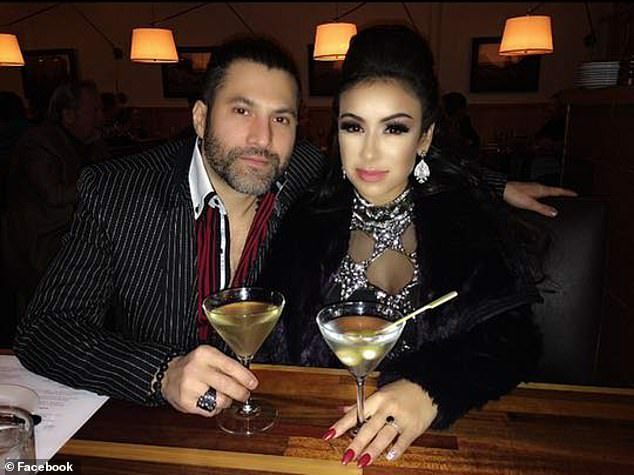 JP and Associates Real Estate agent Laura Avila, 36, is fighting for her life after traveling to Juarez, Mexico with fiancé Enrique Cruz in order to get rhinoplasty at a cheaper rate. In the U.S., a rhinoplasty operation can cost up to $10,000. In Mexico, people have undergone surgery for under $2,000. Laura Avila and her fiancé. Courtesy of GoFundMe. According to Avila’s sister, the anesthesia the doctors injected into the agent’s spine went up to her brain instead of through her body, which caused a rapid drop in blood pressure, brain swelling and cardiac arrest. After Avila spent almost a week in the Juarez hospital in a medically induced coma, her family moved her to a Texas hospital even as local staff refused to release her because of an outstanding bill. Once in Texas, local doctors said the extent of brain damage was serious. On Nov. 16, the family transferred Avila to palliative care based on doctor’s recommendations. They had previously been deciding whether to proceed with high-risk surgeries. After the story made headlines, the Avila family raised more than $77,000 for the agent’s medical and legal expenses. They have hired an attorney and plan to sue the Rino Center in Juarez, Mexico for their role in causing Avila’s brain damage. Plastic surgery disasters in countries with lax regulations happen frequently. In real estate, agents often report feeling pressure to keep up an impeccable appearance. Washington Fine Properties real estate agent Mark McFadden once said he spends $5,000 to $10,000 on plastic surgery a year. It “without question” helps him secure top clients and multi-million dollar listings, he said. “I’m not running for a beauty contest, but I want to be vibrant and relevant, not tired and forgotten,” McFadden once told the Washington Post. Avila’s family has asked for prayers in this difficult time.